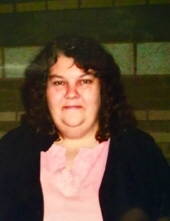 Ida Mae (Baker) Powell was born on October 17, 1964 in Berea, KY and departed this life Saturday, October 13, 2018 following a long illness, being 53 years of age. She was the wife of the late Malcolm Powell and was the daughter of the late Jesse Baker. She is survived by her mother Ella (Lakes) Baker of Berea. She is also survived by three children and three sisters. Her children are Janice Powell of Louisville, Jason Powell of Berea, and Katie Powell of Richmond. Her sisters are Eddie (Ricky) Miller of McKee, Gracie (Baker) Mills of Berea, and Betty (Dave) Davis of Richmond, IN. She is also survived by two nieces, Cheyenne Mills of Lexington and Ashley Mills of Berea. She was a member of Kerby Knob Baptist Church and among her very favorite things were UK basketball, the country music band Sawyer Brown, and the soap opera Days of Our Lives. In lieu of flowers donations will be accepted at the Kerby Knob Baptist Church for funeral expenses. "Email Address" would like to share the life celebration of Ida Mae Powell. Click on the "link" to go to share a favorite memory or leave a condolence message for the family.